P3 Dental is a family-friendly dental practice serving Northeast Philadelphia-area. Bring the entire family to us and experience gentle, modern family dental care. Why Choose us as your Family Dentist in Philadelphia? If you have children ages five and up, family dentistry is a great way to reassure your kids that there's nothing to be afraid of. 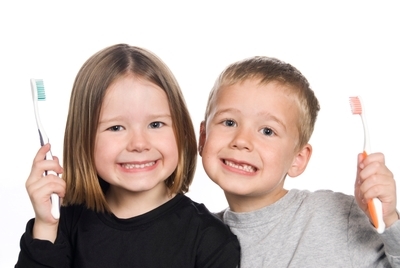 Your children can accompany you to your own dental appointments and see how kind our dentists and staff are. When it's your child's turn, we gently introduces oral hygiene concepts, explains procedures, and makes the appointment fun. In addition to seeing school-age children, we see patients of all ages. We often care for multiple generations! Providing family dental care in Philadelphia requires a family dentist with a broad skill set. Our advanced dentists and dental associates have a wide range of education, professional training, experience, and skills. We specialize in family dentistry, cosmetic dentistry, TMJ treatments, periodontics, and dental implants. Our Philadelphia family dentist is committed to providing exceptional care and empowering you with reliable information. We've invested in the finest dental technologies to facilitate accurate diagnoses and deliver crystal clear images of your teeth. We are passionate about dental education - both for ourselves and for our patients. Our dentists regularly attend continuing education and specialized training classes and are active members of numerous professional organizations. When we recommend a treatment plan or procedure, we are happy to explain it in detail, show you videos detailing what to expect, and provide you with the information you need to make an informed decision. From general exams and cleanings to oral surgery, cosmetic dentistry, dental implants, and beyond, P3 Dental offers a wide range of family dentistry services suitable for the entire family. Questions? Ready to Experience the P3 Family Dentistry Difference? If you have questions for your Philadelphia family dentist, or if you would like to request an appointment at P3 Dental, please contact us today! We look forward to meeting you and your family.